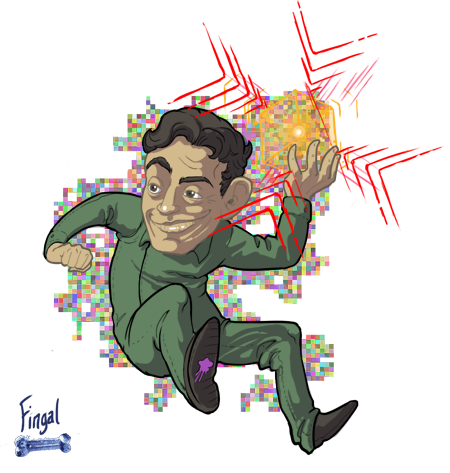 Here’s Fingal from my favorite episode, Overdrawn at the Memory Bank. Look at him tossing Identicubes all over the place! 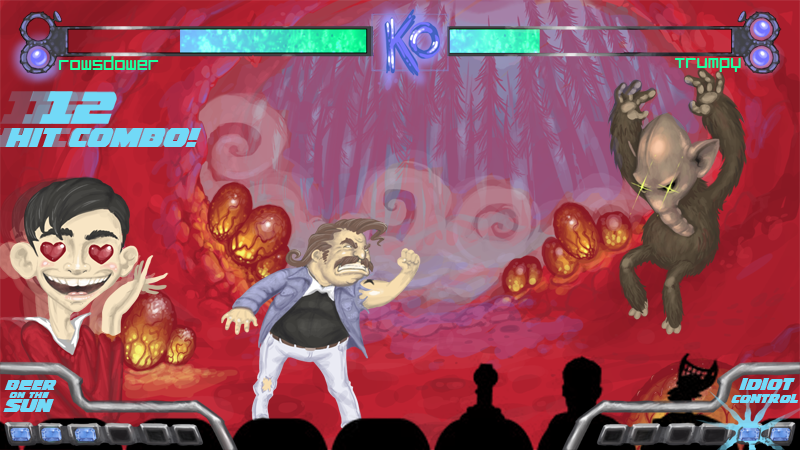 Rowsdower from The Final Sacrifice doing battle against Trumpy from Pod People . It doesn’t get much better than this. Troy is right to swoon. My money’s on Zap. It would be good enough for me if this were just MST3k fan art; that’s always fun. But, it’s really really great MST3k fan art, and that pushes it over the top. Hit the link and check out the rest of FutureDami’s work. 2. 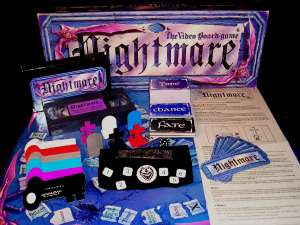 Nightmare VHS Game – I have never played a VHS game. I played Star Trek Scene It one time recently with some friends and that was neat but not nearly as immersive as these VHS games from the 80s and 90s seem to have been forced to be. I have to confess I’ve watched my share of VHS rips of these games on Youtube; Clue 2: Murder in Disguise, Dragonstrike, A Klingon Challenge, to name a few. They make very little sense to me, watching them all at once, but there’s something about it that I can’t turn away from. This week, I saw an (old) ad for a horror-based VHS game called Nightmare. The ad makes it look pretty amazing; why would you play something this destructive in your house? Apparently the premise is that all players write their deepest fear on a card, and the fears all go into a well in the center of the game board. All players move toward the center, and if a player pulls their own fear out of the well, they’ve conquered that fear and they’re the winner! I’m pretty sure that’s how conquering fears works in real life, too! As much of a wuss for scary stuff as I am, I want to try this out sometime! Has anyone found a good digital way to play these types of games? 3. Teenage Mutant Ninja Turtle Pies – I was reminded of this product this week. I have to say, I’m pretty impressed by the endeavor. They had a pretty well done custom animated commercial, a catchy song that mostly rhymed, and a product that probably wasn’t terrible. 5. Robocop: The Animated Series – In 1988, they made a cartoon version of Robocop. And it’s kind of awesome. That music! That violence! So ’80s. And we grew up okay, right?